Composed by Ephrem Feeley. Sacred, General Worship, Easter, Lent. Score. 4 pages. Published by Cherrybrook Music (S0.539890). A simple piece that is a reflection on the transcendence and ever-presence of Christ. 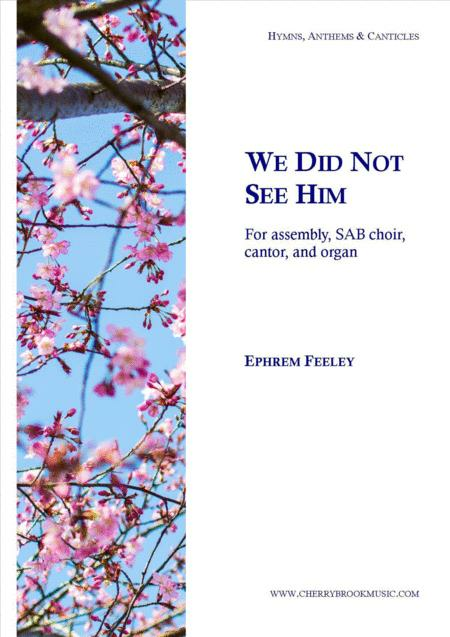 Suitable as a general communion hymn, or for a hymn throughout the Easter season, this piece is scored for assembly, SAB choir, cantor and organ.